Hauerwas, Stanley. War and the American Difference: Theological Reflections on Violence and National Identity. Grand Rapids, MI: Baker Academic, 2011. How are American identity and America’s presence in the world shaped by war, and what does God have to do with it? Esteemed theologian Stanley Hauerwas helps readers reflect theologically on war, church, justice, and nonviolence in this compelling volume, exploring issues such as how America depends on war for its identity, how war affects the soul of a nation, the sacrifices that war entails, and why war is considered "necessary," especially in America. He also examines the views of nonviolence held by Martin Luther King Jr. and C. S. Lewis, how Jesus constitutes the justice of God, and the relationship between congregational ministry and Christian formation in America. Rev. Kelly Denton-Borhaug, Ph.D., is Associate Professor of Religious Studies at Moravian College in Bethlehem, PA. She holds a Ph.D. from the Graduate Theological Union, Berkeley. Her teaching and scholarly interests include Christian theology and ethics with a particular focus on the ethics of models of redemption in liberation theologies. She is the author US War-culture, Sacrifice and Salvation. More information is available through her blog. The military-industrial complex in the U.S. has grown exponentially in recent decades, yet the realities of war remain invisible to most Americans. A culture has been created where sacrificial rhetoric is the norm when dealing in war. This culture has been partly enabled to flourish because popular American Christian understandings of redemption rely so heavily on the sacrificial. U.S. War-culture, Sacrifice and Salvation explores how formulations of Christian redemption have been manipulated to create a world and a time of necessary sacrifice. It reveals the links between Christian notions of salvation and sacrifice and the aims of the military-industrial complex. Why are Americans “so easy with war”? 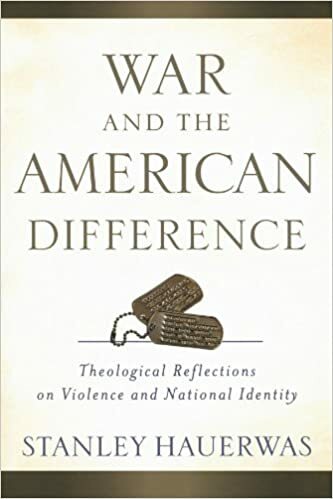 In War and the American Difference: Theological Reflections on Violence and National Identity, Stanley Hauerwas takes up the challenge to probe and analyze this conundrum, and set forth an alternative. Here I lay out the argument of Hauerwas’ book and highlight how and why so much of this is compelling and timely; but I also will discuss why I take a different path in terms of Hauerwas’ theological response to the reality he describes. Over the course of his career as a theological ethicist, Hauerwas has analyzed diverse thorny questions involving social and theological ethics. I always appreciate the intellectual depth and breadth he brings to any investigation. In particular, Hauerwas is associated with the emphasis he places on the story of Christianity as the primary ethical shaping force for the church and individual Christians; as he says, “the church is a social ethic”. This emphasis on narrative ethics also is central for the project he undertakes in this book: to show how the story of Christianity in fact negates the assumptions about war that we make as a nation; how, in fact, this narrative reveals that our national attitudes about war are nothing short of idolatrous, even as they are deeply morally compelling for citizens. As he says, the purpose of his book is “to convince Christians that war has been abolished in the cross of Christ.” This leads him to a further quest, to deliberate how Christians should live in “a world of war” as “a people who believe that war has been abolished” (xi). Statements such as this provide both a rationale for our military excess and a defense for its continuance. It is indeed curious to think about what encourages Americans to consider this status “normal”. In other words, most Americans fail to question why we or the world should need the U.S. to spend more than 14 times any other nation; or why we should infuse so much of the rest of the world with our military presence and force, again in comparison with other countries. Our assumptions regarding this “exceptionalism” and our military contribute to a lack of concern regarding the impact of this reality both within and outside our national borders. In fact, Americans largely accept the nation’s supersized military and permanent war economy as a normal, perhaps even divinely ordained state of affairs. But Hauerwas takes this point even further, claiming that American exceptionalism connected to war is “…our most determinative moral reality” (34). Hauerwas argues that our ease with war has to do with American lack of any common story. Here he contrasts American insistence on individual choice regarding whatever story seems best to us, with the Christian church’s immersion in the story about Jesus of Nazareth, “a story not of our own making”.4 In contrast to the shaping effect of the Christian narrative on the church, American society “…shares no goods in common other than the belief that there are no goods in common other than avoiding death…” (18). This same fear of death is what unites us as Americans, and is the basis for our foreign policy. “’Freedom’ …names the attempt to live as though we will not die” (19). According to Hauerwas, this has given rise to a greater and greater need for war as a death-denying mechanism. …a society must receive the giving up of self by those who have fought and died; this authorizes conceptions of an ideal community, it energizes a society to flourish, it inspires it to resist extermination, it weaves the networks of obligation that make society cohere. War is a sacrificial system that is crucial for the renewal of the moral commitments that constitute our lives (xv). As Hauerwas explores this story, especially through its development in the experience of the American Civil War, the connection between “the sacrifice of war” and a common moral identity for American citizens becomes clear. The experience of the Civil War defined and unified the nation, as Hauerwas says, “the story of the transformation of the Civil War from limited to total war is also the story of how America became the nation we call America” (27). We should not miss the ways that Christian sacrificial formulations influenced the development of this same national narrative. This is our national story. Yet as I have argued, we tend not to think consciously about this as our “story” – certainly not as consciously as we do about other kinds of national stories that shape us as citizens, such as those about the separation of church and state, the freedom of religious choice and freedom of the state from religion, stories that tend to push other (quasi)religious factors to the background. While the rhetoric of the “necessary sacrifices of war” regularly appears in historical, political and popular discourse of all kinds, this language is rarely examined in terms of the role it plays in just war analysis. I have argued that the sacrificial war narrative—so profoundly embedded in American culture, historical memory and national consciousness—mostly shapes us in a subterranean, subconscious fashion. This is how cognitive metaphors work, as scholar George Lakoff has demonstrated.6 We cognitively internalize certain metaphors—that shape the way we value, make decisions, and generally go about living our lives—but tend not to be very conscious of these same metaphors. This national narrative—alive in commemorative national rhetoric and ritual, but subconscious in terms of its actual functional religious reality—has enormous power. In contrast to Hauerwas’ assertion that Americans have no common narrative, I argue that this is the story we must investigate more deeply if we are to truly understand the morally compelling nature of war for people of the United States. Nevertheless, appreciate how Hauerwas explicates the consequences of U.S. sacrificial war-culture that were cemented in the experience of the Civil War and beyond. ### II. Is Just War “Realistic”? Revealing the sacrificial and morally compelling status of war provides an opening for Hauerwas to raise questions for just war theorists who would brand pacifists as “unrealistic.” He writes, “Attempts to justify wars begun and fought on realist grounds in the name of just war only serve to hide the reality of war” (34). The national story we tell ourselves is that our democracy enables us to place more limits on war than authoritarian societies. But in fact, we are addicted to war, and our just war discourse is demonstrated by Hauerwas to be a kind of co-dependent cover for our true ailment: “Lack of realism about realism by just war advocates has everything to do with their being American” (26). Once again, I wish he would push this point further. Hauerwas could criticize the lack of realism in just war analysis on other grounds, such as the regular omission in deliberation to mount a thorough-going materialist analysis that would take into account the structural factors behind a permanent U.S. war-economy. In contrast to the argument of détente, a growing number of scholars contend that an ever-expanding industrial, surveillance and cyber war-machine, connected to a free market economy, provides all-too-ready ground, even a need, for ongoing war.10 Along these lines, we also might point to data from research non-profits such as SIPRI (Stockholm International Peace Research Institute) that provide information regarding the exponential increase of U.S. weapons sales to many countries across the world, especially in the post 9/11 period.11 Not only is the U.S. at greater risk of war, but these dynamics increase the threat globally. Hauerwas writes, “Wars, American wars, must be wars in which the sacrifices of those doing the dying and the killing have redemptive purpose and justification” (32). Just war analysis is not so much the attempt to investigate whether a given war will rise to the level of just war principles, but is revealed as “an attempt to control the description, `war’” (32). In other words, to understand the dynamics of sacrificial war-culture in the United States, we must investigate our language, and how it shapes our very ways of knowing, for “War possesses our imaginations, our everyday habits and scholarly assumptions” (47). One way to more thoroughly investigate this keen insight would be to explore more deeply the utilization of sacrificial formulations in just war discourse. I have shown that American popular political culture is a most revealing site to discover these dynamics at play. For instance, a 2008 television ad for the presidential republican candidate featured a veteran of the Iraq war, speaking directly to the camera—to the American people as it were— passionately arguing that Obama is unfit to be president because “he doesn’t understand or respect the sacrifices of war.” The word, “sacrifice” surfaces repeatedly in this short speech, while the camera focuses on his upper body, only at the end panning out to show his entire figure—and the loss of his limb—to make very visually specific the “sacrifice” he has endured. If my rhetorical analysis of sacrificial war-culture is one way to understand our reality in the United States, Hauerwas includes a chapter that suggests an alternative way forward that also depends on a careful rhetorical method. He expands upon his colleague Enda McDonagh’s suggestion that one way to counter the bulwark of just war thinking, and its self-imposed discipline and paucity of imagination, is to begin to use a different rhetorical formulation: “start a discussion about war that would make war as morally problematic as slavery”. In other words, develop an argument regarding the “abolition” of war in similar terms to the abolition of slavery (38). Hauerwas also makes reference to a tantalizing suggestion from Jonathan Schell: we need an “alternative imaginary” to help us untangle ourselves from the logic of war and the imperatives of the war system (51). I appreciate the imagination and intellectual acuity of these proposals that would challenge the self-imposed closed circle of just war thinking. Yet I wish that Hauerwas would take this further. However, his thinking moves in a different direction, particularly with his theological analysis related to “the American difference”—and it is at this point that our paths diverge. Hauerwas argues that “a Christian disease with war is liturgical”; the word, “liturgy” means, “the work of the people”. Thus, if war is the most morally compelling work of the American people, Hauerwas calls this same work a “counter-liturgy” to the work of the church. Why? “Christians believe that the sacrifice of the cross is the end of sacrifice. We are free of the necessity to secure our existence through sacrificing our and others’ lives on the world’s altars” (56). In this way we see that although Hauerwas would like the sacrificial dynamics of war to end, Jesus of Nazareth’s death as “sacrifice” will continue to be central theologically: “I hope that my attempt to redescribe war as an alternative to the sacrifice of the cross at once illumines why war is so morally compelling and why the church is an alternative to war” (xvii). The point is not with sacrifice per se, in other words, but with the wrong kind of sacrifice. In fact, Hauerwas will say, war “mirrors” our lives as Christians, “making war at once attractive and repelling to Christians” (56). Hauerwas continues to rely on the theological imaginary of sacrifice, even as he calls for an alternative in the political/social sphere. Will this work? In order to explore this, we must delve further into just how Hauerwas understands Christian sacrifice, and what implications this has for Christian people, and for the nation as a whole. I find his most succinct statement further on, where he engages with the work of his former student Daniel Bell. Hauerwas writes, “Christ’s sacrifice was perfectly just, not because it satisfied a debt, but because it renewed the communion of humanity in God; it was an expression of the divine fidelity to the redemptive promise made to Abraham’” (106). As a theologian who focuses on “soteriology” (the study of Christian discourse about “salvation”), I find this a fascinating statement. For Hauerwas/Bell begin with an emphasis here on satisfaction: the understanding of Christian salvation that focuses on Jesus’ death as a payment that restores the requirements of justice. But then they move quickly to the soteriological metaphor of sacrifice combined with theosis: Christ’s sacrifice is to be understood as rehabilitating communion or unity between God and human beings. Finally, the end of their statement suggests a moral exemplar interpretation: Christ’s sacrifice is important in that through seeing/witnessing this “expression” of God’s fidelity, human beings are restored/saved. Later on in the same chapter Hauerwas seems to modify this, saying that what Bell truly means is that “the recovery of communion (is) made possible through the works of mercy” (115). Did sacrifice fall away then? A bit further on, Hauerwas suggests that what is at work here is “the purest love – the kind of love that asks for nothing in return. This is what charity-formed justice looks like” (115). What began as an understanding that described the sacrifice of the cross as “sacrificing the sacrifices of war” has become somewhat more ambiguous. Hauerwas continues to unfold his understanding of the Christian narrative: Jesus is “the first human being for whom to live was simply to love – this is what we human beings are for” (129). Along these lines, Hauerwas suggests that Jesus’ crucifixion may be understood as an outcome of human “determination to be less than human” (129). Here he has shifted from a more “objective pole” that would focus on the requirements of divine justice, to a “subjective pole” that interprets Jesus’ death in more human terms, as arising out of human evil. In Christ “we see our common humanity – a humanity that cannot avoid suffering if we are to be of service to one another” (130). “God abandons no one” (131). All this would lead, for Hauerwas, to a language of the church that is focused on “the practices of love and vulnerability” (132). Such language makes it possible to tell and hear different stories, learn patience, be at peace, listen in a world of “impatient violence” (132). I confess that I grow impatient with the continuing emphasis on sacrifice, even as Hauerwas at times seems to move away from it. For he has described the problem so very well: the compulsion, moral energy, and attraction created by sacrificial formulations move so readily across the boundaries of state, religion, popular culture, economy and the military. These formulations discipline our imaginations, speech and habits, and truly form a bulwark that not only supports, but requires ongoing war. If “war is a moral practice,” as Hauerwas rightly argues, I agree that locating “peaceful practices” is a central form of resistance and reconfiguration (54). But what will this mean? For Hauerwas, understanding the nature of war as a sacrificial system leads to his proposal that “any alternative to war must be one that sacrifices the sacrifices of war” (55). Here our pathways diverge, for I would suggest that we pursue not only an “alternative social imaginary” to sacrificial war-culture, but encourage an “alternative theological imaginary” as well. For if we are to assist in the process to unlocking imagination, interrupting unquestioned habits, and unbinding ourselves from the rhetorical/cognitive constraints in which we find ourselves, it seems to me that we can do no less theologically than Hauerwas calls for socially. Is it possible to move beyond sacrifice in Christian soteriology? Is this heresy? Unwise? I have found that when I suggest that this is the trajectory of my ongoing theological attempts at greater imagination, I face objections from interlocutors and listeners. Only a minority respond with a sense of relief, even hope, that there may be a way theologically out of this constraint that they have come to see as destructive and necrophilic. But many more respond critically and negatively; some people even become angry that something that is very beloved to them is being challenged. I have written about the deep human needs and realities that many Christians are accustomed to having met through sacrificial constructions in their faith. In part, this goes back to the idea that human beings demonstrate what is of greatest value through their willingness to die in its cause (should we question whether dying is in fact the most significant way we express our deepest moral commitments?). I do agree with Hauerwas to this extent: as humans, we manifest the meaning of our existence when we dedicate the very marrow of our lives to people, causes and projects for life, love and justice; and when this goes against the grain of dominant forces and systems of power, we may well find ourselves at risk. Nevertheless, the point still is to live, and support and value the deep interconnection of life, in all its vulnerability and susceptibility to limitation and suffering. In contrast, sacrificial systems inevitably require and sacralize death and destruction. The spilling of blood, the loss of limbs, the cutting short of life all become monetized, as it were, “the price” that is required (or justified as the inevitable cost) for freedom, salvation, the nation. For this reason I am suspicious of sacrificial cognitive metaphors that communicate that through willingness to die we show what we value most ultimately. Soteriological analysis of sacrifice within Christianity provides an illuminating example in this regard. In countless theological portrayals of the meaning of Christian redemption, Jesus’ death, understood in sacrificial terms, becomes the unrelenting focus and purpose of his life. As medieval theologian Anselm declared, “the Son of God took manhood with the intention of dying.”14 For Anselm, the death of Christ is “the pleasing service” through which God’s honor is restored. Only death has the purchasing power sufficient to render the dishonor of sin powerless, whether through exchange or through the impact of witnessing such expression. Though Anselm wrote in the 11th century, this sacrificial metaphor remains deeply embedded in our ways of thinking and valuing. In particular, those who minister with veterans, military families—and especially families who have experienced the death of military family members—understand that sacrificial interpretations of the death of soldiers comprise the dominant framework for dealing with unfathomable grief.15 But such thinking has wider implications, because these sacrificial roots shape our basic assumptions about citizenship and the nation. We are locked into that closed circle I described above, in which a sacrificially-oriented transcendentalized national imaginary requires ongoing sacrifice in order to maintain its very transcendent status. In addition, because these assumptions have to do with an embedded metaphor that resides in the collective unconscious of the American people, forthright criticism and analysis is an extremely difficult task, much less the attempt at imaginative reconstruction. Finally, attempts to set these dynamics into greater relief for Americans also are resisted by those who benefit from our current political/economic arrangements. It has become very striking to me over recent years to experience how those who are more directly tied to “the complex” of U.S. militarism are so frequently the most vocal proponents of the rhetoric of “the necessity of war-as sacrifice”. This is perhaps the least surprising dynamic, for it is clear that this rhetoric plays an extremely effective role in disciplining thought that could lead to questioning our current reality, and calling for change that might call into question who benefits from U.S. war-culture. Hauerwas would not agree with my assessment regarding the need for a theological imaginary beyond sacrificial categories. He writes, “Christ has shattered the silence that surrounds those who have killed, because his sacrifice overwhelms our killing and restores us to a life of peace” (69). Hauerwas seems to be of a mind with other Christian theologians who stress that the problem is not sacrifice per se, but the wrong kind of sacrifice. While I support theologians who wish to engage in the task of articulating less destructive Christian understandings of sacrifice, my own direction is a different one, to (re)imagine non-sacrificial frameworks of soteriology. Nevertheless, in later chapters of his book—as Hauerwas wrestles with the theories of nonviolent direct action to help him describe that “life of peace”—I find wonderful material for my own thinking about ways forward from the endless cycle of sacrifice. Once again we encounter the “necessity of sacrifice” at the center of these theories of nonviolence. I find myself thinking about this in connection with another, equally foundational philosophical pillar of nonviolence theory shared by both Gandhi and King, and discussed by Hauerwas: “the ends and means of nonviolent direct action must cohere”. I appreciate Hauerwas’ exploration of the argument Reinhold Niebuhr had with Gandhi and King at this point. Niebuhr contended that the kind of coercion one finds in nonviolent direct action is really only another kind of violence. To say this would challenge the principle of coherence of ends and means. In response, Hauerwas claims, King and Gandhi showed that in least three ways violence and nonviolent direct action cannot be conflated. First, nonviolence insists on respect (this in fact is a form of love) for the adversary at all times; second, they claimed that minimizing the important differences among distinct types of coercion was too simplistic; and third, they also stressed the importance of the nonviolence principle that upholds at all times the physical integrity of the adversary (89). Gandhi and King each in their own way said that the means and end cannot be separated because they believed that the means is the end in the process of becoming. Therefore Gandhi and King shared the following conviction: “When in the service of even the most valuable cause one chooses to resort to violence, that disregard for the dignity of the neighbor, and that disrespect for the social fabric have planted the seeds for the failure of one’s own enterprise. Only fidelity to love as a means can be an instrument for love as end” (92). Does this argument open the door to criticism of ongoing sacrifice theologically and in theories of nonviolent direct action? Yoder claims that violence, even in the most “just” cause, must be rejected because it “destroys the very seeds of one’s own enterprise.” But what will this mean with regard to the inherent violence of sacrificial enterprises, including those that engender sacrifice of the self? In other words, it seems inconsistent to criticize sacrifice in one realm, only to justify it in another. Hauerwas emphasizes “fidelity to love,” as a central principle of nonviolence, but he defines this in very different ways: as “unearned redemptive suffering”, “sacrifice”, “practices of vulnerable faithfulness”; “refusal to judge between worthy and unworthy people”, etc. I suggest that this list bears further thinking, for it may be that not all these actions are consistent with nonviolent theory’s other principle, “the means and ends cohering”. Yet saying as much leaves me with questions with which I continue to struggle. Is it possible to imagine Christianity without sacrifice at its center? Is it true that the highest expression of our deepest values is demonstrated through our willingness to die for them? Can we imagine a detranscendentalized nation? Is active citizenship possible, including energetic ties of communion, without the “glue” of sacrifice? Moreover, how can we work towards theories of nonviolence that emphasize the importance of work towards more life-giving and enhancing social arrangements, as opposed to those that seem all too much to celebrate sacrificial suffering and death? How can our means better cohere with the ends we seek? I agree with Hauerwas that if people in the United States are to understand the true nature of war, we must grow in awareness of the destructiveness of “The American Difference,” or as I would put it, our assumptions regarding “the necessity of war-as-sacrifice.” Instead of glorifying suffering through sacrificial cognitive and religious metaphors of sacrifice, one way forward is to intentionally turn away from sacrificial practices so that we may work on suffering. Here too Hanh is of great help to us, for he insists that to engage in this effort, we have to begin by addressing our own suffering, wherever it exists. He writes, “We do not have time to embrace our pain in private any more…transformation is the key. Looking just into the ocean of suffering, you see that it is immense. But if you turn around, you see the land.” He describes human consciousness as a field where every kind of seed may be sown, seeds of suffering, happiness, joy, sorrow, fear, anger or hope. For Hanh, it is through the practice of mindfulness, that is, focusing on living deeply, seeing clearly, listening intently in the present moment, that helps us most in this work of healing, not self-sacrifice. We must work on becoming strong, whole and loving people in and of ourselves, in order to assist the whole body to heal and repair. José-Antonio Orosco’s study of the great activists, Cesar Chavez and Martin Luther King, Jr., also helps me think about possible ways forward beyond sacrificial impulses and dynamics, especially with regard to nonviolent organizing strategies.19 Orosco evaluates diverse strategies that have been used in nonviolent struggles, such as the Civil Rights Movement in the U.S. On the one hand, he suggests, a focus on “crisis time organizing” tended to support explosive events to awaken and challenge consciousness in the American public. I would add to his analysis that emphasis on “crisis time” also tends to highlight self-sacrificial actions as a strategy to make visible the urgency of the crisis at hand. Orosco here elaborates on Martin Luther King Jr.’s analysis of time, and how deeply this impacted the way he thought about the struggle. King criticized white moderates’ “mythical conception of time” on two grounds. This myth encouraged African Americans to wait for a never-to-be gradualist evolution of norms and laws. First, King recognized that the urgency of suffering and oppression experienced by African Americans could not be put on hold; second, he was suspicious of the notion that more time eventually would take care of social ills. “We must use time creatively, in the knowledge that the time is always ripe to do right,” he said. Orosco suggests that King’s sense of urgency led him to preach a message that “impending destruction” would follow “…if nonviolent efforts were neglected.”20 “Crisis time organizing” was designed not only to respond to the urgency of the crisis, but to heighten the crisis through explosive actions to make normalized structures of oppression and injustice impossible to ignore. However, Orosco claims, toward the end of his life, King’s thinking began to shift. The “crisis policy and pattern” was an effective strategy with regard to raising consciousness and putting pressure on the government, but not with respect to lasting systemic changes in the nation to increase justice. Long term structural change would need vast human development and infrastructure. This meant moving beyond crisis-oriented thinking; it meant human development for the long haul. Along similar lines, Cesar Chavez emphasized the importance of time that was necessary for the human development of leaders and organizers. The growth of human capital made it possible for the organization Chavez founded, the United Farm Workers, to address a wide array of issues: not only labor, but child labor, sexual harassment, environmental concerns and consumer health. On the one hand, Chavez was very influenced by religious ideas and practices common to Mexican Catholicism, such as penitential suffering through pilgrimage and fasting. However, on the other, he was very clear that nonviolent organizing for more just social structures should not include human destruction or death, even those understood as sacrificially offered to build a more just world. To sum up, when we study the lives of the great peace and justice activists, we encounter seeds of imagination and vitality that inspire deeper and greater work on the realities of human suffering, and transformation of the human structures that sacralize and require human sacrifice and destroy life. This work takes time for the development of strong, whole, fully equipped human beings, Hanh says. While theories of nonviolence include the possibility of sacrificial self-destruction in the name of a just goal, greater peace and justice, in the long run, require living and working to become strong and whole people capable of building a more loving and just world. Hauerwas’ final goal in The American Difference, as in his other books, is to assist the church to be more deeply and honestly itself. He sums up with a final admonition: “The church, therefore, can only be the alternative to war if Christians refuse to kill”. Given the immensity of the reality of war and militarism in our world, such an admonition may indeed seem little more than a gesture. Yet Hauerwas hopes that this “truthful gesture” may help bring about “a future otherwise unimaginable” (181). I share Hauerwas’ concern for an authentic and vital church; and would in addition include admonition to citizens and scholars of many diverse loyalties and backgrounds. Here is my fundamental question: can we break out of the sacrificial imaginaries that have such a deep hold on us? What kinds of social and theological imaginaries might be resurrected to help us live our most significant values more deeply and authentically? I continue to search for cognitive metaphors that better embody life’s vulnerable, beautiful, strong and vital interconnection, and that resist the attraction of sacrificial war-culture by making more visible its dangers. I am committed to working on suffering. Rather than expressing my deepest moral convictions through willingness to die, I wish to emphasize dedication to fully live, even amidst life’s precariousness.25 In the interest of a possible future that is more like Winthrop’s 1630 imaginings—a world defined by the way that people care for and take care of one another and the very planet—I suggest that citizens in all settings, as well as people intentionally committed to life in the church, think more deeply about the role of “sacrifice” in our language, religion, everyday lives and social reality. Perhaps then we may find our imaginations sharpened for the task of (re)creating new social and theological imaginaries: a rehumanized vision that breaks out of the constraints of sacrificial war-culture. (#_ftnref1)Stanley Hauerwas, War and the American Experience: Theological Reflections on Violence and National Identity. Grand Rapids, MI: Baker, 2011, 27. 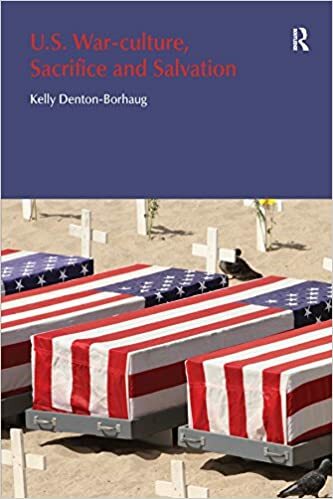 (#_ftnref2)See Denton-Borhaug, “War-culture and Sacrifice”, U.S. War-culture, Sacrifice and Salvation for my multidisciplinary analysis of war-culture. London: Equinox, 2011. (#_ftnref3)Consider the irony of the contemporary rhetoric of American exceptionalism compared with the earliest usage of this language in U.S. history. When Governor John Winthrop in 1630 first declared that the newcomers should be as “a city on a hill…the eyes of all people are upon us”, it was to underscore the ethical mandate he had set out in his sermon: “…this duty of love”. And what was this duty? “First, that every man afford his help to another in every way or distress. Secondly, he performs this out of the same affection which makes him careful of his own goods…whatsoever ye would that men should do to you.” “A Model of Christian Charity,” The Winthrop Society. Web. 10 Nov. 2013. http://www.winthropsociety.com. (#_ftnref4)For Hauerwas, “the project of modernity” that is exemplified in U.S. culture and politics has to do with the development of a people “…who should have no story except the story that they chose when they had no story. That is what Americans mean by freedom” (17). Acting freely is associated with choosing which story we wish to hold ourselves accountable to as individuals. (#_ftnref5)While Hauerwas expounds upon the importance of the experience of the American Civil War for the development of this mentality, other scholars demonstrate that sacrificial war-culture in the U.S., tied to Christian understandings and practice, is correlative with the very beginnings of the history of the nation. See U.S. War-culture, 131-132. (#_ftnref6)George Lakoff, Moral Politics: How Liberals and Conservatives Think. Chicago, IL: University of Chicago Press, 2002. I analyze Lakoff’s investigation of sacrificial metaphors connected to U.S. war-culture in U.S. War-culture, Sacrifice and Salvation, Chapter Three: “A Deadly Nexus: ‘Necessity,’ Christian Salvation and War-culture”. (#_ftnref7)Denton-Borhaug, U.S. War-culture, Sacrifice and Salvation, 238. Also see Paul W. Kahn, Putting Liberalism in its Place. Princeton, NJ: Princeton University Press, 2005. 274. (#_ftnref8)See also Denton-Borhaug, Chapter Five, “Detranscendentalizing War”. (#_ftnref9)Denton-Borhaug, Chapter Three, “A Deadly Nexus: ‘Necessity’, Christian Salvation and War-culture”. (#_ftnref10)Along these lines, see Ismael Hossein-Zadeh, The Political Economy of U.S. Militarism. New York: Palgrave, 2006. Robert Polin and Heidi Garrett-Peltier of The Political Economy Research Institute at University of Massachusetts in Amherst also have written various articles analyzing various economic factors of U.S. militarism. Web. 10 Nov. 2013. http://www.peri.umass.edu/. (#_ftnref11)Each year the Stockholm International Peace Research Institute publishes a report on trends in military expenditures. See http://www.sipri.org. (#_ftnref12)This ad from the John McCain presidential political campaign was rated by the BBC as the number one political ad of 2008. Web. 10 Nov. 2013. http://www.youtube.com/watch?v=TG4fe9GlWS8. (#_ftnref13)James Cone’s exposition on the meaning of the cross for African Americans is one such powerful example. See The Cross and the Lynching Tree. Maryknoll, New York: Orbis, 2012. (#_ftnref14)Anselm of Canterbury, “Cur Deus Homo,” A Scholastic Miscellany: Anselm to Ockham. Philadelphia: Westminster Press, 1956, 170. (#_ftnref15)See Amy Blumenshine, “Self-inflicted Harm Among Military Veterans: Our Militarized Society’s Cry for Help,” and Kelly Denton-Borhaug, “Sacrifice, Moral Injury and the Work of Healing After War,” Caring Connections: An Inter-Lutheran Journal for Practitioners and Teachers of Pastoral Care, Vol 10, 1, Winter 2013. Web. 10 Nov. 2013. I have asked, if we did not interpret these deaths as “a necessary sacrifice”, what else would we say about them? What difference would all this make in terms of the way we think about war? (#_ftnref16)Even though James Cone continues to find sacrificial frameworks of meaningful significance for African American people, he nevertheless writes, “I find nothing redemptive about suffering in itself”. The Cross and the Lynching Tree, 150. (#_ftnref17)See Christine Gudorf, Victimization: Examining Christian Complicity. Philadelphia, PA: Trinity Press International, 1992. (#_ftnref18)Thich Nhat Hanh, “To Veterans,” A Lifetime of Peace: Essential Writings by and about Thich Nhat Hanh. 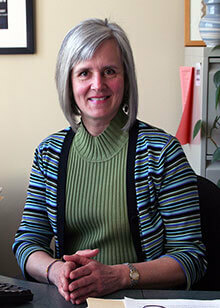 Jennifer Schwamm Willis, Ed. New York: Marlowe and Company, 2003, 124. (#_ftnref19)José-Antonio Orosco, Cesar Chavez and the Common Sense of Nonviolence. Albuquerque, New Mexico: University of New Mexico Press, 2008. (#_ftnref23)Orosco, 28. Interestingly, Orosco notes Chavez’ emphasis on the importance of “sacrificing time to serve others” and his understanding of pilgrimage as “a trip made with sacrifice and hardship as an expression of penance and commitment”. It is clear that Chavez’ religious heritage influenced this same language, though I would add that Chavez’ use of the language of sacrifice seems to more closely align with my own emphasis on working on human suffering to make a difference. See pp 24-25. (#_ftnref25)Judith Butler, Precarious Life: The Powers of Mourning and Violence. New York: Verso, 2006.